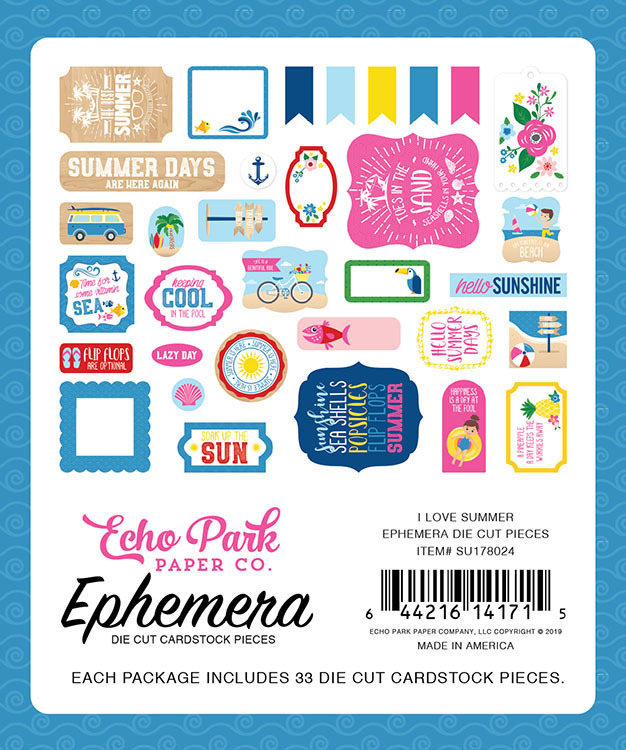 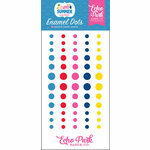 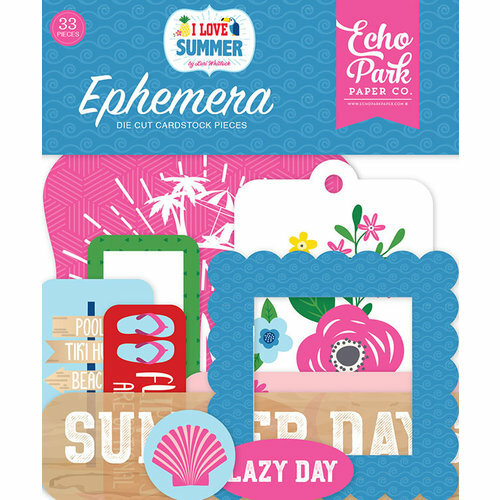 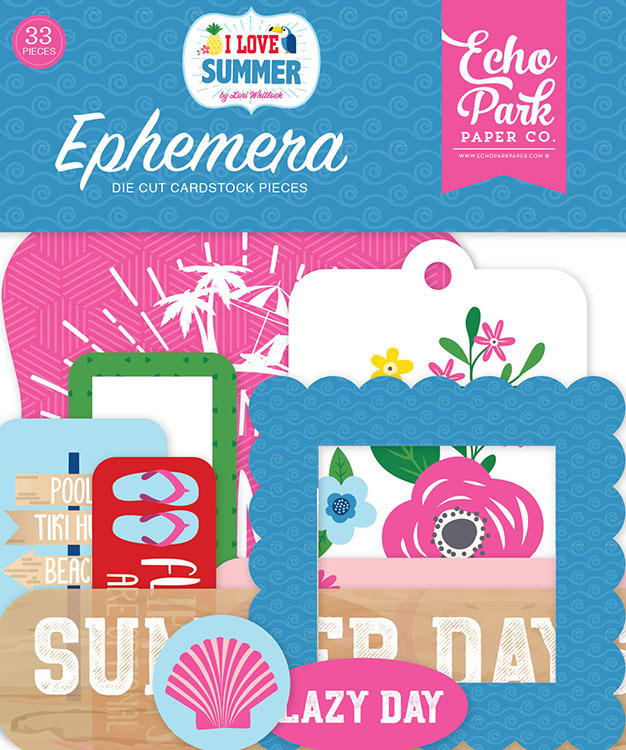 You'll be feeling the warmth of the summer sun with the summer themed Ephemera pieces from the I Love Summer Collection by Echo Park. 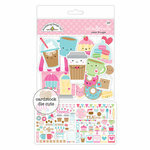 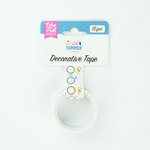 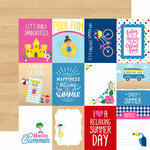 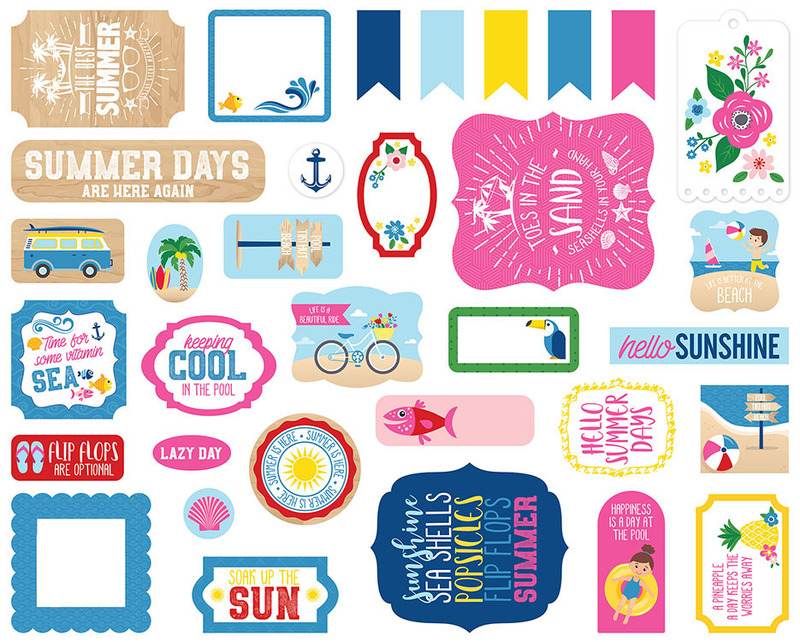 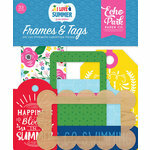 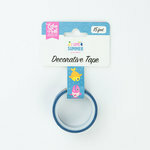 Included in the package is 33 die cut cardstock pieces featuring flowers, flip flops, frames, expressions and more. 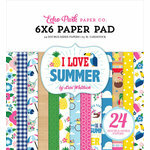 The pieces are designed by Lori Whitlock.